When salons are not in use, you can archive the salon to create more space for your recent salons. 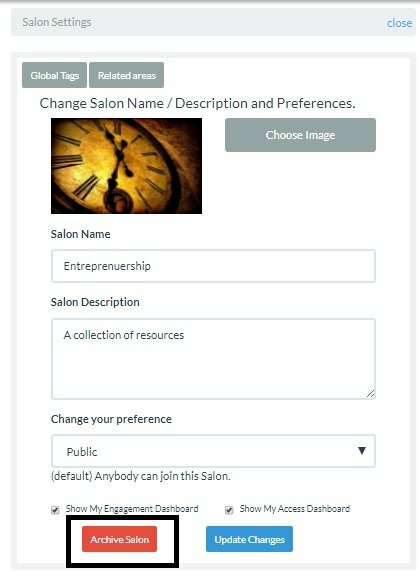 The archived salons are accessible (only to the manager) via “Archived Salons” option (from salon settings) as shown below. Any archived salon, its users, documents, videos and users can be “unarchived” at any point as shown below.